In the tea ceremony, there are two ways to make green tea: light and dark. The dark tea tea ceremony is said to be of higher class, and the Matcha is needed together into a paste. Light tea is more casual, and a foam is created with the matcha, using a bamboo whisk. The dark tea ceremony gives a higher concentration green tea, and therefore, the quality of the matcha is more evident. All matcha can be brewed as a light tea.Dark tea involves needing the tea into a concentrated paste, so it is not suited for average grade tea with strong bitterness and astringency. To summarize, high grade matcha can be used for both dark and light tea, but intermediate grades and lower are only suitable for light tea. Light tea brewed with high grade matcha has a lot of natural umami and a round aroma, and is the best quality tea. Yamamasa Koyamaen is an established tea producer that has continued to make fine quality matcha using traditional production methods. It is Japan's most famous matcha brand. Their confectionery matcha is popular with restaurants and cafes in Japan. We take time and effort to preserve traditional production methods. Careful stone grinding produces a fine powder with excellent mouth feel, while preserving the flavor. This produces smooth matcha that melts on the tongue. Matcha used in the tea ceremony must be enjoyed in terms of the differences in taste, color, and aroma; therefore, there are many grades from highest price to affordable. The more expensive matchas are sweeter and therefore more delicious. The cheaper matchas tend to be bitter. You can tell the grade of a matcha well when you drink them side by side for comparison. The various grades of matcha are used for different purposes. This is a ceremonial matcha used for the tea ceremony. This Japanese matcha tea brand is one of the top sellers in Japan. Made with 100% Uji tea leaves. No additional sugar or other additives. Made in Japan. 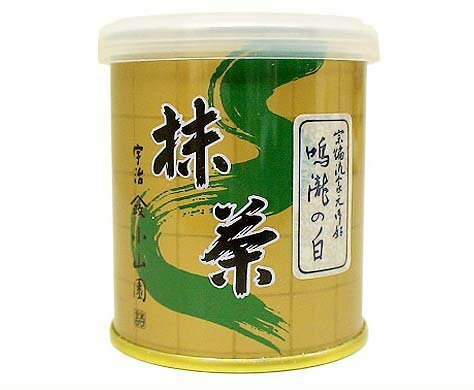 Usucha thin tea favored by Yamada sohenryu. This product has some different names among different schools of the tea ceremony. Shikibuno-mukashi, Yuuwano-shiro, Kamiono-shiro, Narutakino-shiro and Togano-shiro are the same thing but called differently. If you have any questions about this product by Yamamasa Koyamaen, contact us by completing and submitting the form below. If you are looking for a specif part number, please include it with your message.